The book is also available online http://connected.mcgraw-hill.com/connected/login.do click on the online textbook link after you login. Username & Password will be provided by Mrs. Rubino on request. You will be issued a book and you will be held responsible to return the book in the same condition that it was handed out to you. Upon testing, an section from Chapter 1 of the text shows to be at a 11.3 according to the Flesch-Kincaid model. This is on point to our reading level for this course. Upon testing, an section from Chapter 14 of the text shows to be at a 9.7 according to the Flesch-Kincaid model. This is on point to our reading level for this course. Biggs, A. (2005). 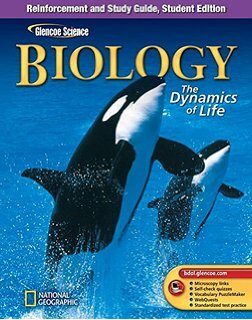 Biology: The Dynamics of Life. New York: Glencoe/McGraw-Hill.